There are so many game apps for Filipinos to enjoy games on their mobile be it Android or iOS but there are certain Pinoy games that every one in Philippine will love to play. 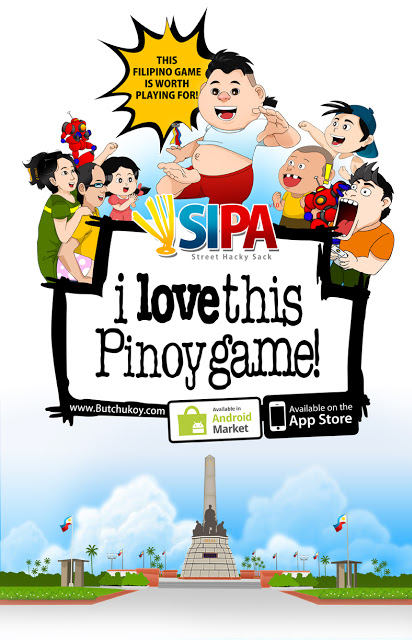 Here are the all times most popular Pinoy game apps to enjoy on your mobile all free. Remember that these game apps are available at Google Play Store and at iTunes store thus compatible to both iPhones, Samsung Galaxy phones, HTC, LG, Sony, Windows mobile, Zeus and varuous other Android devices. All you need is to click on the links provided here and download the app in no time all free. Patintero Playtime is a virtual “Filipino street game” developed by Zeenoh. With the rating of 4.4 at app stores this game works both with Android and iOS smartphone. There are two teams in the game with a grid. 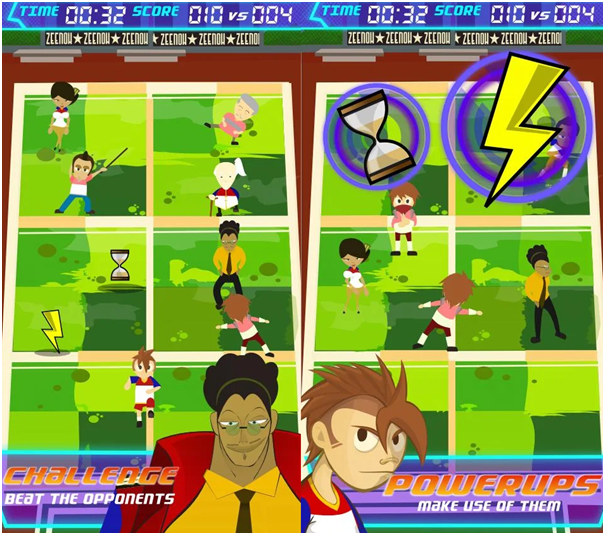 The objective of the game is for the first team to cross the grid, and for the second team to block the opponents from crossing. The first team is the players, who must avoid the taggers and acquire points by going to and fro across the field. The second team is the taggers, who are assigned each line to guard the grid and stop the opponents from crossing through tagging them. With 4.9 rating at the app store this is best and popular game app for Filipino gamers. 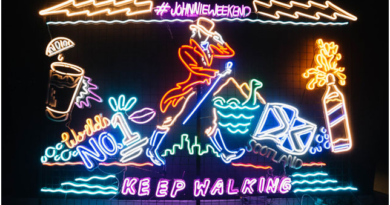 The game wants to play Pinaka conyo game in town where you make Tusok the Fishball, all day, everyday and collect the food in town that can be any Pinoy street food like Kwek Kwek, hotdogs and more. Developed by most played games this game works well for both iOS and Android phone. Download for iOS here and click here to get it on Android. 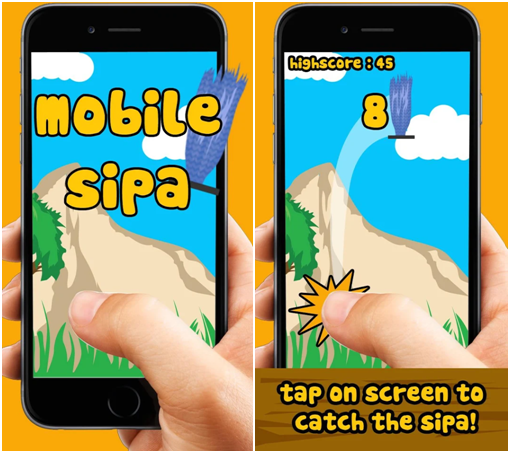 Mobile SIPA is another famous Pinoy game app which is a simulation based on a popular classic street game in the Philippines! SIPA – is the Philippines’ traditional native sport which predates Spanish rule. The game is related to Sepak Takraw. Similar games include Footbag net, Footvolley, Bossaball and Jianzi. The game is both played by two teams, indoors or outdoors, on a court that is about the size of a tennis court. This game app is very simple to play. Just catch the delicious and ripe guavas like the hero of comedy show Juan Tamad. The game mechanics are simple: keep Juan’s mouth open to catch fresh guavas, close his mouth to avoid the rotten ones by tapping on Juan. The more fresh and golden guavas Juan catches, the closer he gets to winning the love of Marie his friend. 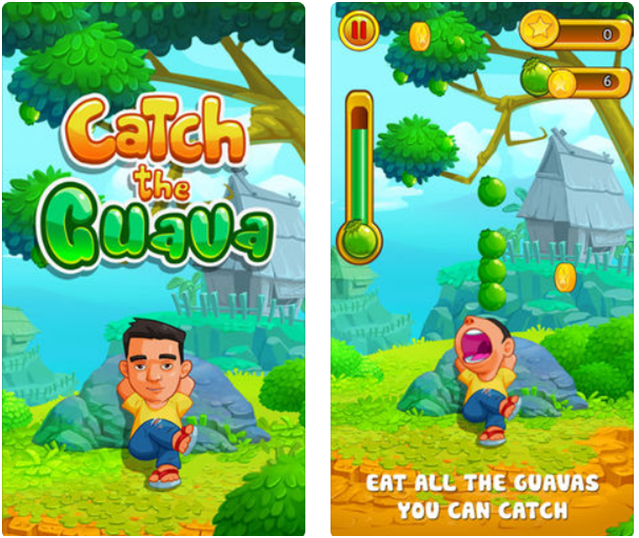 Catch the Guava was developed for GMA Network by 88GamePub. Download all free from iTunes for iOS and click here to get it for Android. 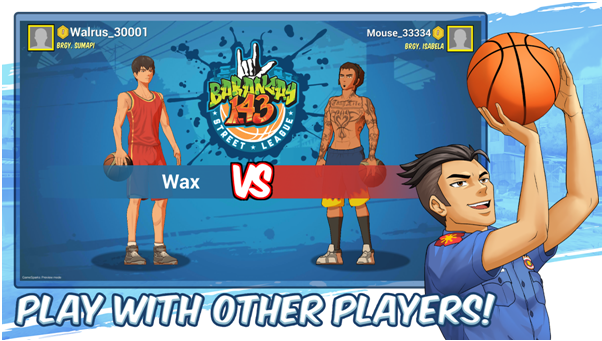 Now play your popular street game with this app that comes from the streets of rough Tondo with a young man named Joaquin “wax” Rivera: a talented but inexperienced basketball hopeful, taking his first steps towards basketball greatness. Featuring a simple yet challenging touch mechanic, prepare to engage in a battle of skill against other league aspirants in the game’s Shootout mode! Download this free game app from iTunes right now or download is from Google play store for your Android. This marble game is often played by Filipino players on streets. Just fling your marble to hit the other marbles and remove them outside of the base circle. 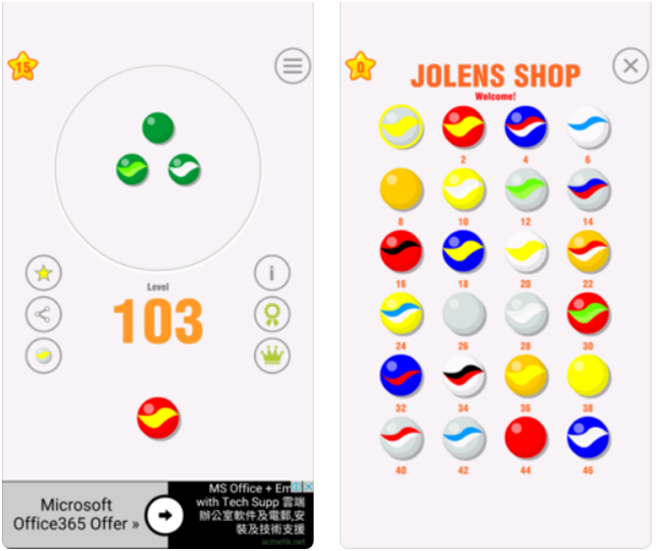 Also collect stars and unlock more marbles in the Jolens shop. There are over a hundred levels and more to come. Download this game from iTunes store or click here to download from Google Play for Android. 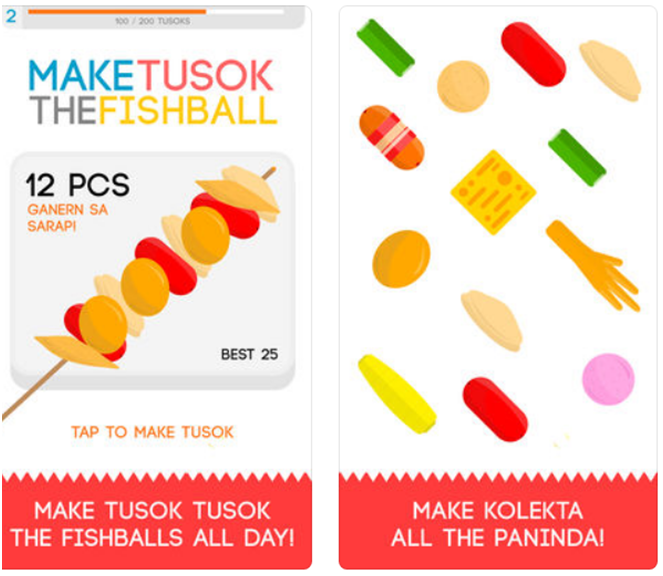 Now have these best Pinoy games on your mobile and enjoy them in your own Filipino style. 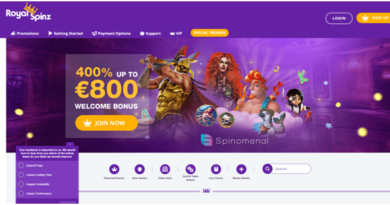 ← What is Sakla and how to play at Philippines casinos?